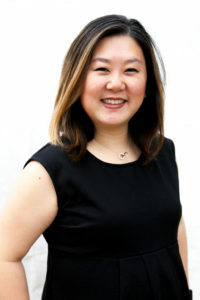 Dr. Kim graduated from the University of San Diego with a Doctor of Nursing Practice degree with dual certifications as a Family Nurse Practitioner and Adult-Gerontology Primary Care Nurse Practitioner. Her previous background includes a Bachelor’s of Science in Biology with an emphasis in genetics from the University of Oklahoma. After working at the University of Southern California for a few years as a laboratory technician, she felt the need to get back into school and be more involved in the physical aspects of patient care. She went back to school for her Bachelor of Science in Nursing degree from the University of Oklahoma and worked as a Registered Nurse for several years before going back to school again to obtain her terminal degree as a Nurse Practitioner. Her primary goal for becoming a Nurse Practitioner was to become more involved with patient care. As a medical provider, her focus is on individualized and personal care. She has been able to achieve this at OC Wellness Physicians by working with a great team of providers and staff. Everybody at OC Wellness takes the time to really get to know each of the patients, which means that they, in turn, receive tailored care because no injury is the same and they should not be treated as such. She has a great passion for education, both her own and for others. In her spare time, she loves to read and spend time with her growing family.